Liverpool manager Jurgen Klopp has surprised Reds fans with his decision to start Divock Origi in the place of the injured Roberto Firmino vs Watford tonight. Firmino has failed to recover from the injury that saw him substituted in Liverpool’s goalless draw with Manchester United on Sunday afternoon. 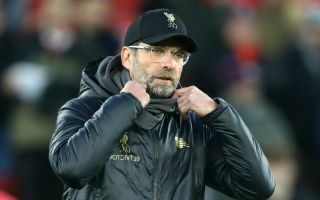 The Reds need to put on a show at Anfield against Watford tonight to make up for their lack of creativity against United on Sunday, fans will be expecting the team to put the sword to Watford’s defence from the get-go. “We play tomorrow and it will be very close for that,” he said. “Because it’s Bobby, I would say ‘yes [there is a chance for Watford]’, but I don’t know if I would use that chance. Origi will be hoping that he can prove himself to Klopp as Firmino’s main backup (ahead of England international Daniel Sturridge) against the Hornets this evening. Origi has one goal and one assist from six Premier League appearances this season. Could this be the start of Origi getting his career back on track at Anfield?
? #LIVWAT TEAM NEWS ? Do we want the league or are we purposely putting our hopes on the line . I will pull all my hair out if we spend the first 30 minutes passing it around aimlessly at the back and giving away silly fouls. Keïta and Ox are the link between midfield and attack. Since Ox is out I’d have expected Naby to start. Who is gona create the chances??? Both shaq and keita on the bench!! I fail to understand rhis? ?